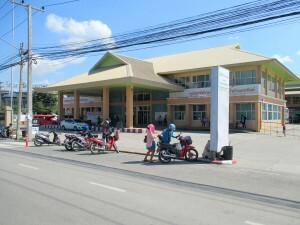 Chiang Mai Arcade Bus Station is the place where long distance buses to Central Thailand and Bangkok depart, as well as to North-Eastern Thailand (Isaan) and to Eastern Thailand (for Pattaya). 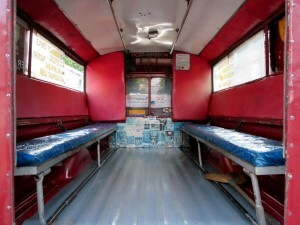 It is where you arrive when travelling by bus from Mo Chit Bus Terminal in Bangkok. 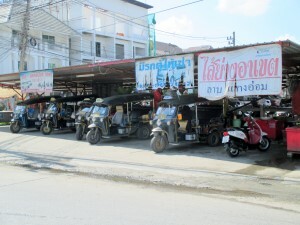 Arcade Bus Station is often referred as "Bangkok Bus Station" to distinguish it from Chang Puak Bus Station (สถานีขนส่งช้างเผือก) which serves only local destinations in Chiang Mai district. 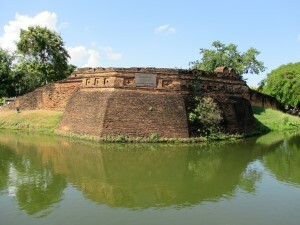 It is located around 3 km east of the Old City Moat, just before the ring road. The Station can boast itself of having not just one, but two Terminals, which are separated by just a few metres from each other. 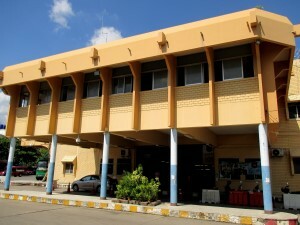 Terminal 2 is the older station and Terminal 3 is the newer one. 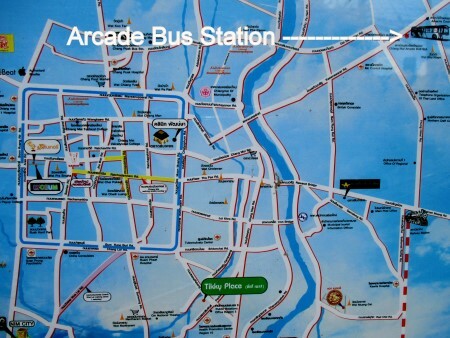 Arcade Station, unlike Chang Puak Station, is not really within walking distance from the city centre. 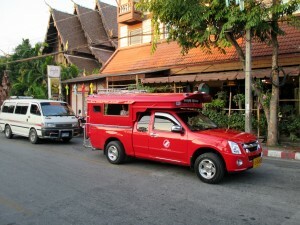 If you are coming from the city centre, the cheapest way to go to the station is to board a Songthaew (which is called Red Car (รถสีแดง) in Chiang Mai). 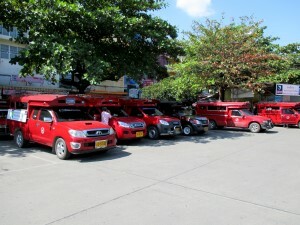 A Red Car is a pick-up truck adapted into a passenger car and used as a shared taxi. 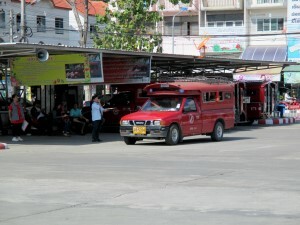 Although Red Cars follow a 20 THB fixed rate system, for longer distances such as from the city centre to the bus station or to the train station you have to negotiate the price. 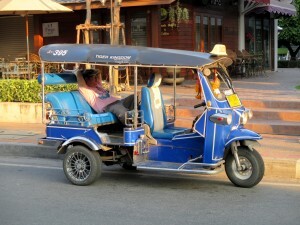 A reasonable price is around 30-40 THB per person, but don't be surprised if some drivers are not afraid of asking you as much as 150 THB per person! 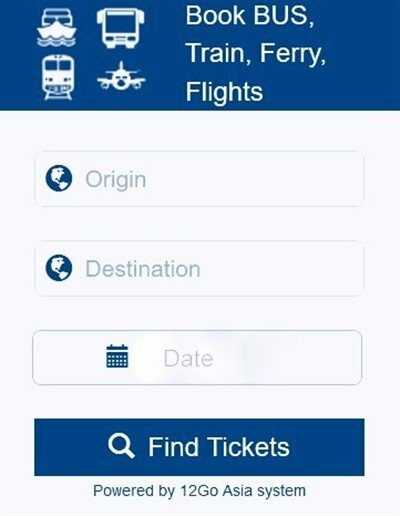 If you are travelling as a group, the driver might ask you for a “group price”. 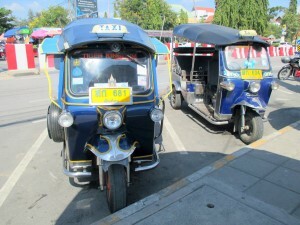 You can also choose to board a Tuk-Tuk to get to the Station. In that case you will need very good bargaining skills to get a fair price. Following is a list of prices to help you negotiate. 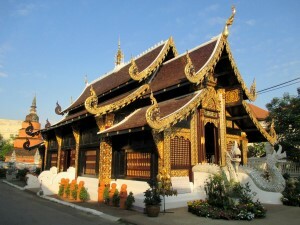 One thing you might notice while in Chiang Mai is that compared to Bangkok, there are not many taxis roaming the streets. If you are coming from the bus station to the city centre however, there is a taxi stand at the station. 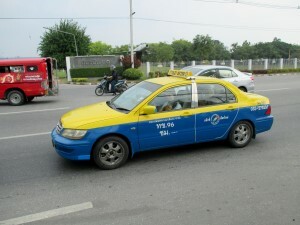 A taxi to the city centre from here should cost between 100 to 150 THB. 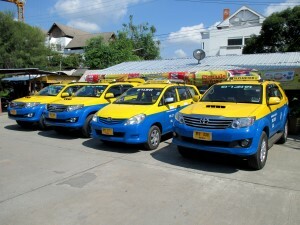 Most drivers will not use there meter, but if they do, the price is 50 THB for the first 2 km, then 10 THB for every km after that.